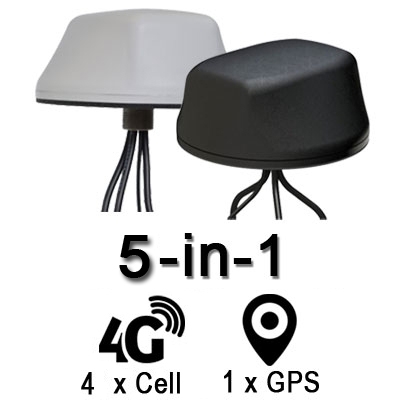 The MobileMark LTM series of vehicle roof multi-element antennas features a proven design to pull in voice and data signals with improved performance. 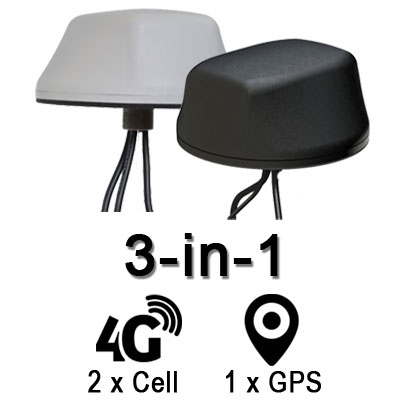 They can be used for fleet-management for buses, trucks and taxis, as well as for creating a stronger in-vehicle network for M2M applications. 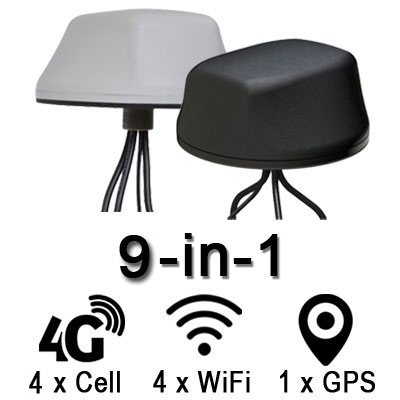 These all-in-one screw mount antennas come in several models for personal and professional needs. 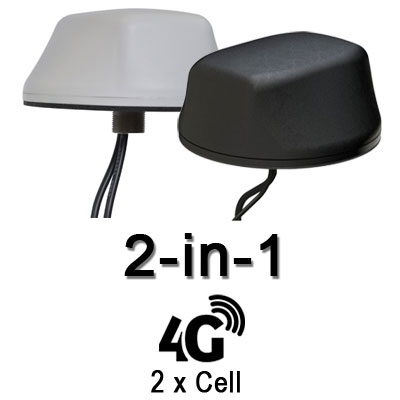 Options range from the 2-in-1 MiMo antenna for 3G/4G/LTE signal to the 7-in-1 antenna with WiFi and GPS elements in addition to MiMo LTE. MobileMark LTM roof-mount antennas have a low profile (2.38 x 5.5 inches), and by including multiple elements, they take up less space than installing individual antennas. 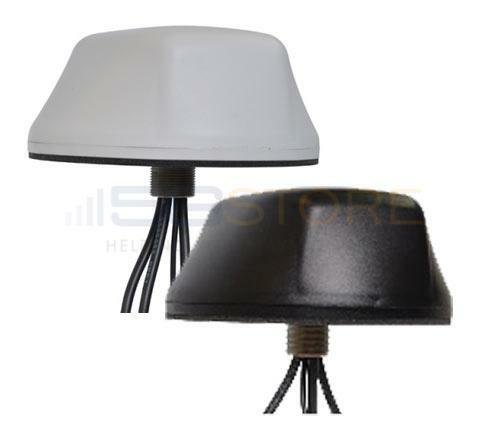 The included cables are terminated in SMA-male (LTE/GPS) and RP-SMA (WiFi) connectors attach to your router or gateway. The LTM antenna can be special ordered in many other configurations besides the ones shown below (color, number of WiFi elements, etc). Please contact us for a quote.